Forget about those trendy destinations that flood your Instagram feed: Iceland is overrun with so-called influencers posing in front of waterfalls, Machu Picchu is turning into Peruvian Disney Land, and Thailand has more drunk backpackers flooding their beaches than they know what to do with. These tourist hotspots are becoming so overdone, that traveling to them hardly seems adventurous anymore. Thankfully, there is one, massive destination that is teeming with unique experiences, incredibly diverse culture, and the most iconic wildlife in the world: Africa. When it comes to tourism, Africa has long been viewed as a vacation spot for khaki vest-wearing retirees to sit from the comfort of an air-conditioned safari van, before resting their heads in plush Hemingway-style tents. But now, Africa is emerging as a bucket-list-worthy destination for active adventurers seeking immersive experiences, from outdoor expeditions to authentic cultural activities to yes, game drives to see the Big Five — but with the guarantee of sustainability. The continent is so vast that you couldn’t possibly see it all in one lifetime, but we encourage you to do your damnedest to try. 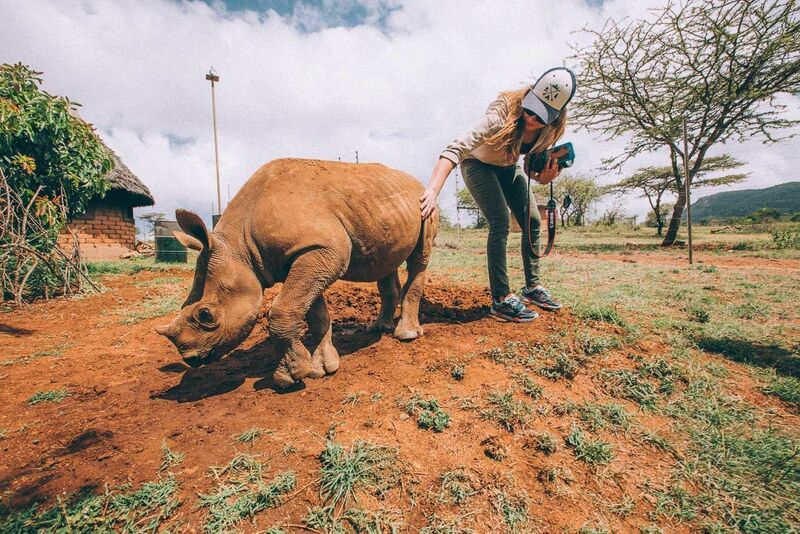 Here are 25 life-changing experiences in Africa you need to do before you die. 1. 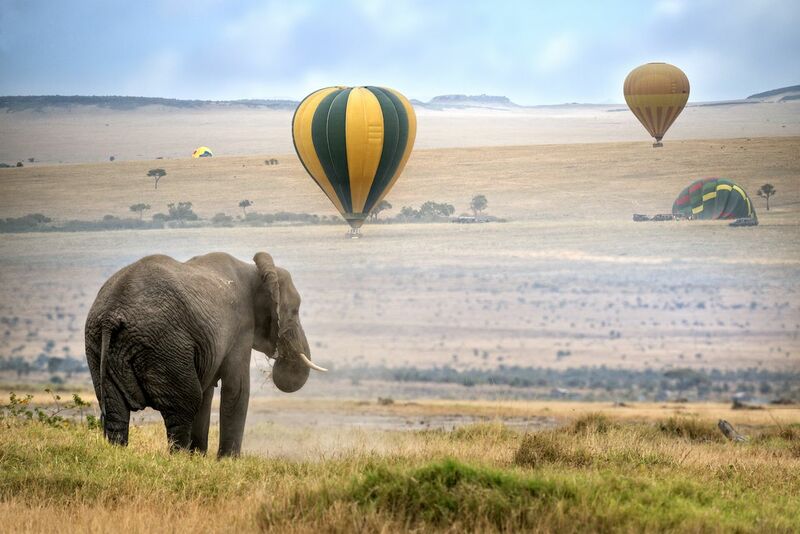 Take a hot air balloon ride over Lake Nakuru. Set in Kenya’s ancient Rift Valley, Lake Nakuru National Park is surrounded by wildlife-rich woodlands and bush, and is a sanctuary to over four hundred different species of bird. While you should definitely have a go at classic birdwatching from the ground, we recommend rising to their level by taking a hot air balloon ride over the savannah. Stay at The Cliff, a brand new luxury camp in the park, and take flight in their signature green and yellow balloon for the ultimate bird’s eye view of Lake Nakuru. 2. Abseil 1000 meters above sea level off Table Mountain. 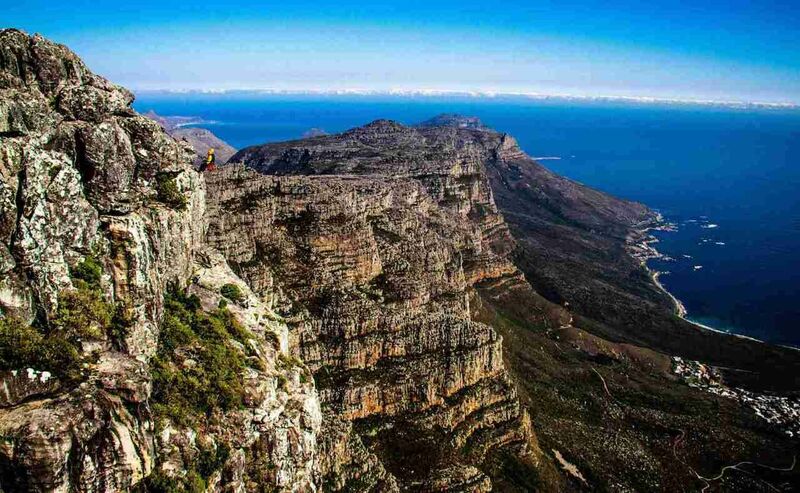 Sure, the views from the cozy cable car off Table Mountain are memorable, but it’s nothing like the stomach-dropping sensation you’ll feel rappelling down a sheer cliff face from the top. Begin your descent down the mountain (the first step is the hardest), and prepare for a surprise about halfway down. Spoiler alert: the mountain will give out underneath, leaving you to freefall in slow motion, rotating midair for a breathtaking view of Camps Bay, the Atlantic Ocean, and the sprawling Twelve Apostles mountain range. Once you reach a ledge midway down the mountain, you’ll begin a peaceful hike back up to the cable car. Sign up for the adventure with local tour company Escape + Explore, in partnership with Abseil Africa, and go near sunset if possible. 3. Meditate on the Mauritius coastline. Despite its dreamy tropical vibes, Mauritius has avoided becoming a tourist trap for rowdy island hoppers, making it an ideal getaway for people looking to escape crowds, unplug and unwind, and find their center. At the Shanti Maurice Resort & Spa, the beachfront suites offer unparalleled privacy, set to the soundtrack of crashing waves. 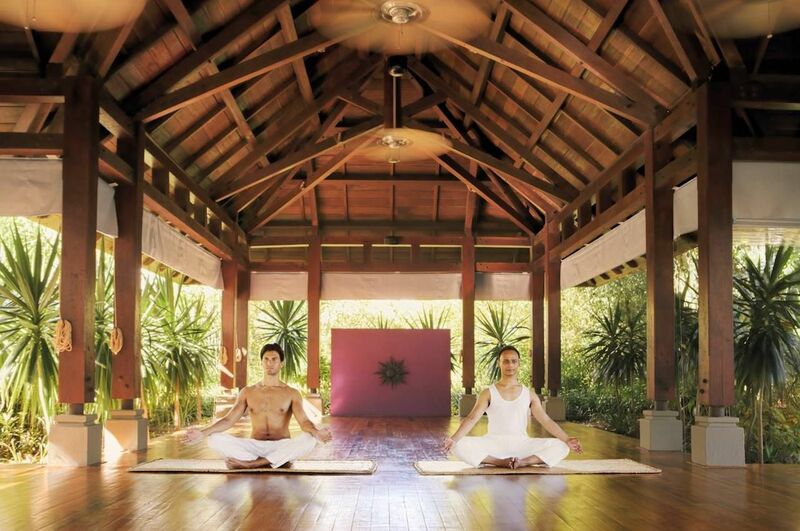 A Hatha yoga instructor can come right to your suite, or you can try solo meditation without any disturbance. If you’re looking for something a little bit more active, Shanti Maurice also provides instructors in pilates and AquaFit, a low-impact water exercise that builds muscle and increases cardiovascular strength. 4. Canoe down the Selinda Spillway (while aiding conservation efforts). The Great Plains Conservation is doing some incredible work in preserving the natural African wilderness. In addition to buying up hunting areas and converting them to sustainable, luxury safari camps, Great Plains Conservation is also helping save endangered black rhinos by transporting these threatened creatures via air to large, protected landscapes. 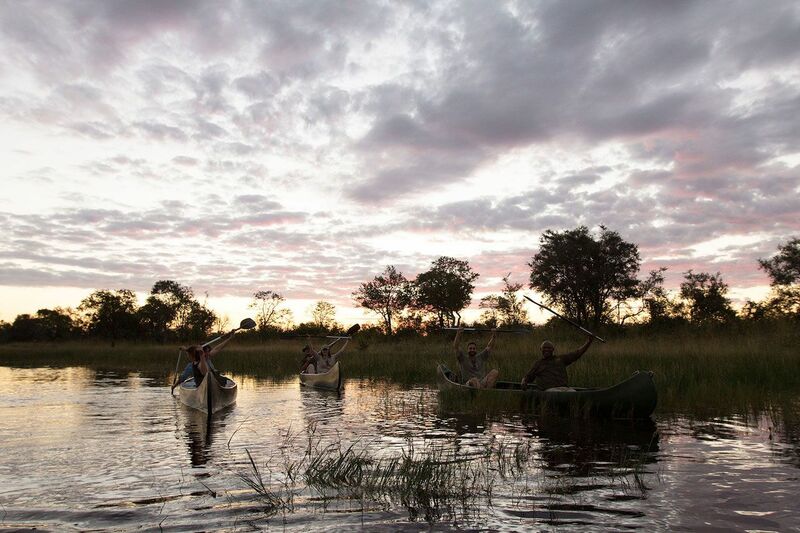 If you can’t afford to stay in their uber-luxe properties (whose fees do the heavy lifting when it comes to funding their conservation work), opt for their adventurous — and more affordable — canoeing expedition down the Selinda Spillway. You’ll sleep in no-frills tents alongside the river, but you’ll have the closest views of buffalo, elephant, antelope and wild dog. 5. Dive for diamonds — really. If this sounds like the ultimate vacation activity for the wealthy, it’s because it is — diving for actual diamonds isn’t a cheap excursion to tack onto the average snorkeling trip. 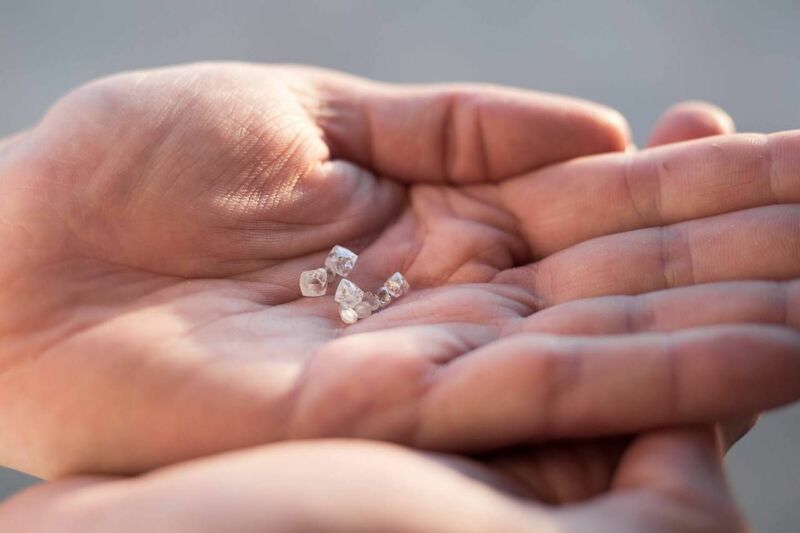 But if you’re in the market for an engagement ring and want a way more interesting story than “he went to Jared,” then a Benguela Diamonds safari might be for you. Take off from Cape Town in a jet to a beachfront villa in the western coast of South Africa, before boarding a boat to waters where sea diamonds are plentiful. Dive for your own diamonds, then take it back to land to have your treasure appraised (and gorge on a decadent seafood lunch). You can then order custom jewelry made with the diamonds you found. 6. Glamp under the stars in a treehouse. Located in the Makalali Conservancy outside Kruger National Park, Garonga Safari Camp overlooks a scenic riverbed, ideal for relaxing after those early-morning game drives. 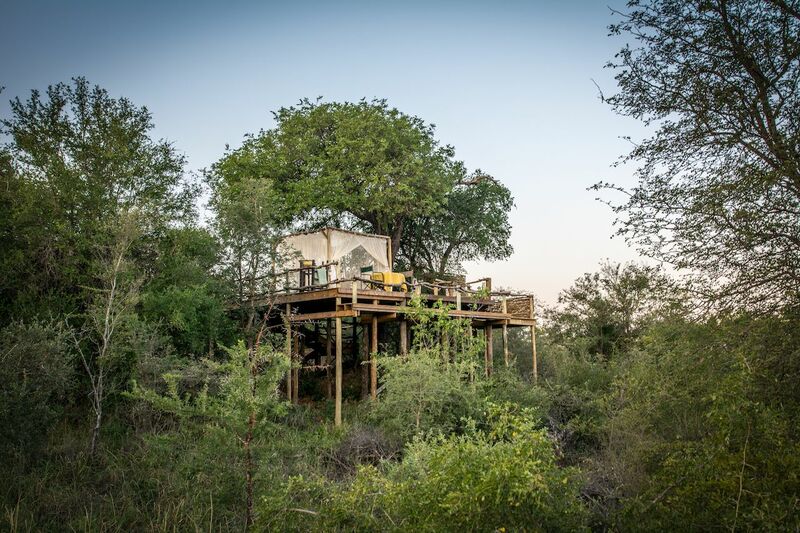 Skip the regular villas and opt to stay in the Sleep Out, an open-air viewing platform high up in the trees. 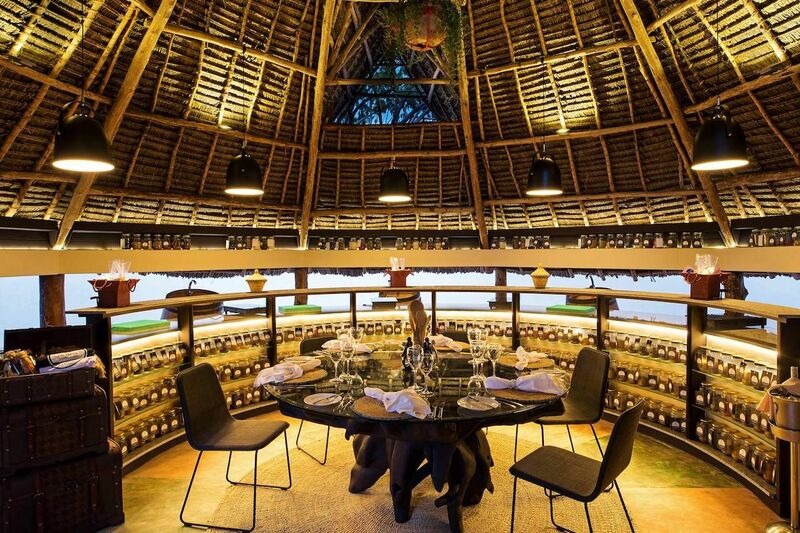 Enjoy a private dinner below a starry canopy, and let the giraffes and elephants come right to your bedside in the morning. 7. Turn those safari pictures into pieces of art with the help of a pro. There’s a lot to get excited about Angama Mara, a new safari lodge in Kenya perched above the Masai Mara, from the same experts who brought you the award-winning &Beyond safari tours. But the most intriguing activity is definitely their photography tours. 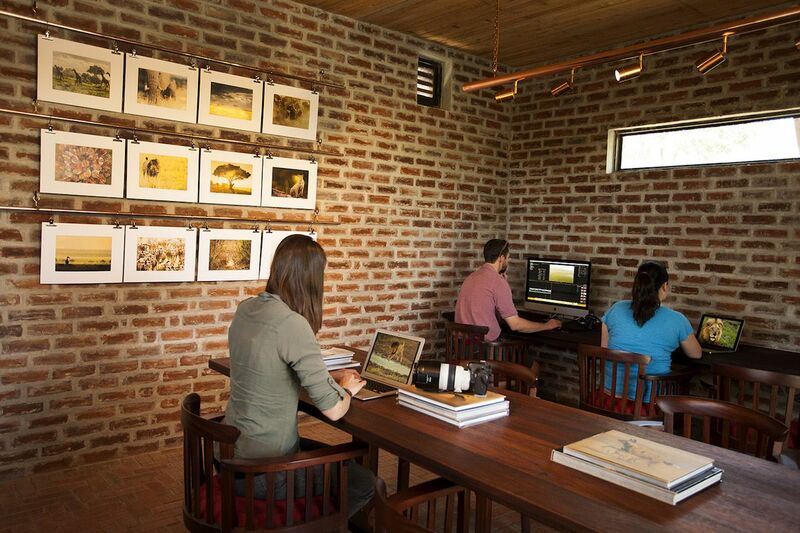 While most safari lodges offer photographer-friendly game drives, Angama Mara goes one step further with expert instruction and an onsite printmaking studio. They’ll tell you how to find the best light and angles, tips for approaching animals safely for close-up photos, and show you some of their favorite locales for unique snapshots. Then, head to the studio where they’ll give you the rundown on Photoshop basics, and allow you to print your own piece of art. You can even submit your photography to their charitable photo competition, The Greatest Maasai Mara Photographer of the Year, for the ultimate bragging rights. 8. Go saltwater fly-fishing in the Seychelles — sustainably. 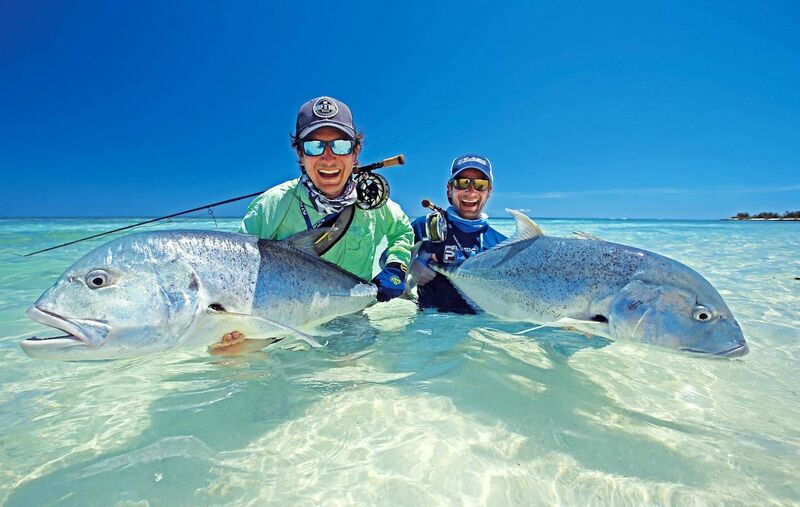 The Seychelles are a paradise for fly-anglers, thanks to its expansive hard, white-sand flats for easy wading, and large populations of bonefish, among other great catches. Stay at one of Blue Safari’s amazing islands, such as Alphonse Island or Astove Atoll, and go fly-fishing with their expert guides. Most importantly, their catch-and-release policy is sustainable, keeping the vibrant reefs filled with these important fish (the Seychelles are also a divers’ dream). You will get to keep the abundant species of fish, such as tuna, which you can have cooked fresh on the beach when you return to land. 9. Have a garden-to-table meal in a greenhouse. 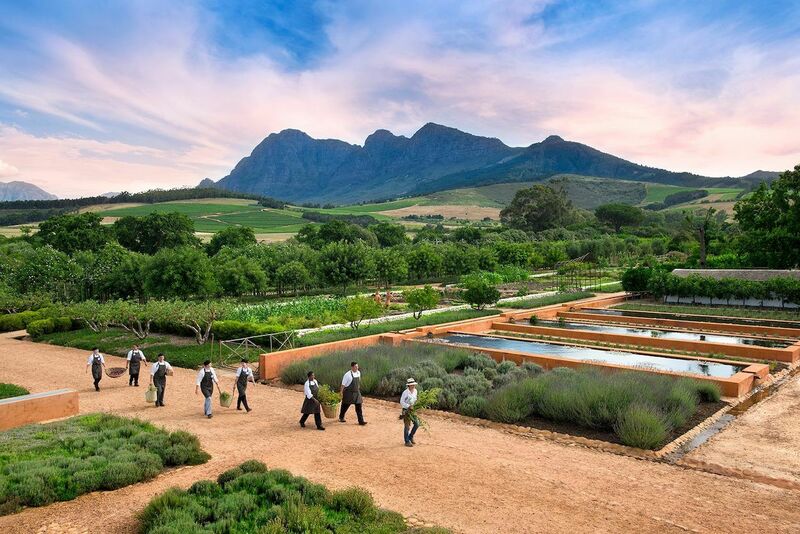 Located in South Africa’s wine country, Babylonstoren is a scenic working farm and vineyard, complete with a luscious garden, inspired by the historic 17th-century Company’s Garden in Cape Town, as well as the mythical water gardens of Babylon. The 8-acre garden is home to a wide range of fruits, vegetables, herbs and flowers. The garden is harvested twice daily, and you can take a tour of the grounds to learn some practical gardening tips from the staff. Then, visit the Greenhouse for an innovative garden-to-table meal, served alongside homemade cheeses, wood-fired breads, cured meats, oils and chutneys. The humid greenhouse climate also allows for exotic plants to grow, like dragon fruit, vanilla, and baobab. 10. Go on an eco-friendly game drive in Kafue National Park. If you’re looking for an exclusive wilderness experience free of crowds and noisy car engines, head to Kafue National Park, the largest and oldest park in Zambia and one of the most underrated wildlife reserves in Africa. Larger than Kruger National Park but far less trafficked by humans, Kaufe has all the Big Five, along with wild dogs, antelope, and hundreds of bird species. To explore this pristine expanse, stay at the green Ila Safari Lodge, a truly eco-friendly resort with electric game vehicles, perfect for traversing the bush in near silence. At the end of the day, you can also take a sunset cruise down the Kafue river in a solar-powered boat. 11. Take the whole fam on an adventurous nature retreat. A lot of lodges claim to be family-friendly, but few were specifically created with the whole family in mind. 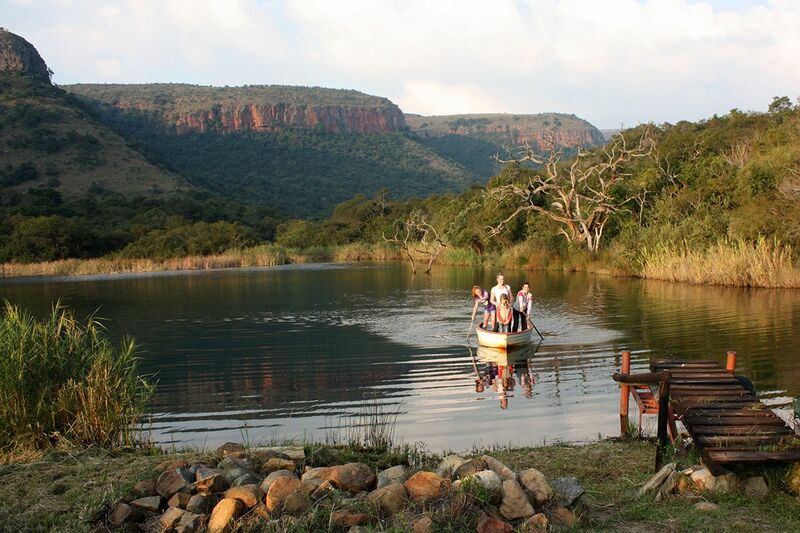 The Mount Anderson Water Reserve on the border of Kruger National Park proves that an adventurous outdoor vacation is way better than an overpriced trip to a theme park. Go on a simple hike to a riverside location filled with relics of the gold mining era, where kids can pan for rocks to learn about geology, and visit the old gold mine workings and shafts. Other family activities include orienteering, trout fishing, and educational game drives for sightings of Africa’s lesser-known antelope, jackal, caracal and leopard. 12. 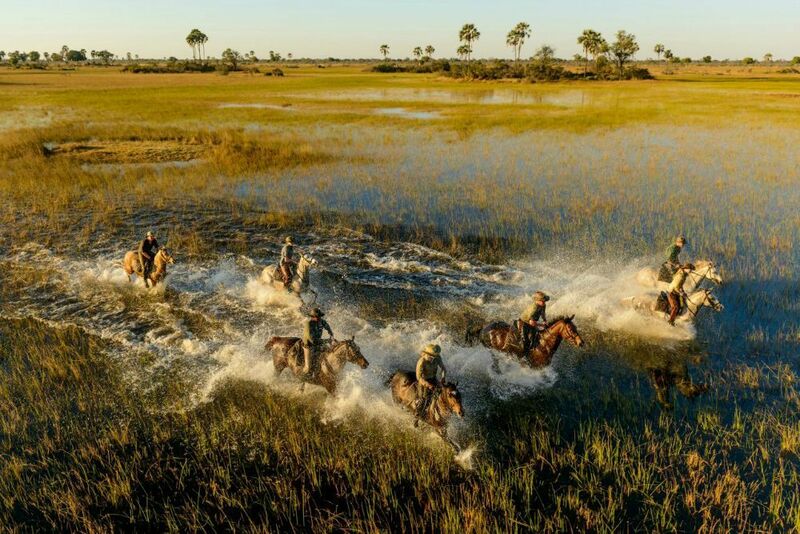 Gallop through the Okavango Delta on horseback. 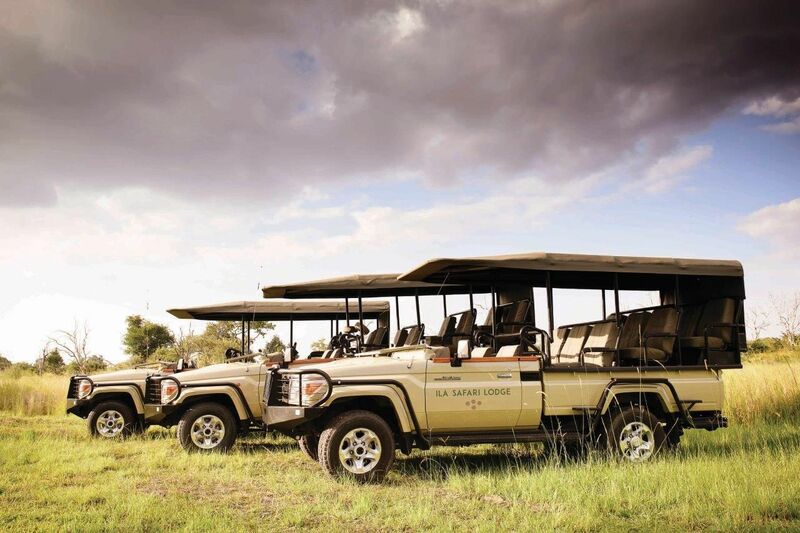 No one can accuse you of taking it easy in a cushy land rover on this safari. With African Horseback Safaris, based in the Macatoo luxury tented camp in Botswana, saddle up and prepare to see the Big Five mounted on your own mighty beast. On a horseback safari, you’ll get up close and personal with wildlife in flooded areas that game vehicles could never get to. Gallop alongside zebras and giraffes, or take a cautious trot closer to lions and elephants. Just be careful to avoid those hippos swimming around you when you’re submerged waist deep in the Delta. 13. Stay in a historic farm cottage and cook your own meal. Get a taste for the pastoral simple life at the beautifully restored farm cottages at Boschendal, located in the Franschhoek Valley region of South African wine country. But instead of just laying in bed and having your meals brought to your cottage (which is definitely an option), try your hand at working the farm. 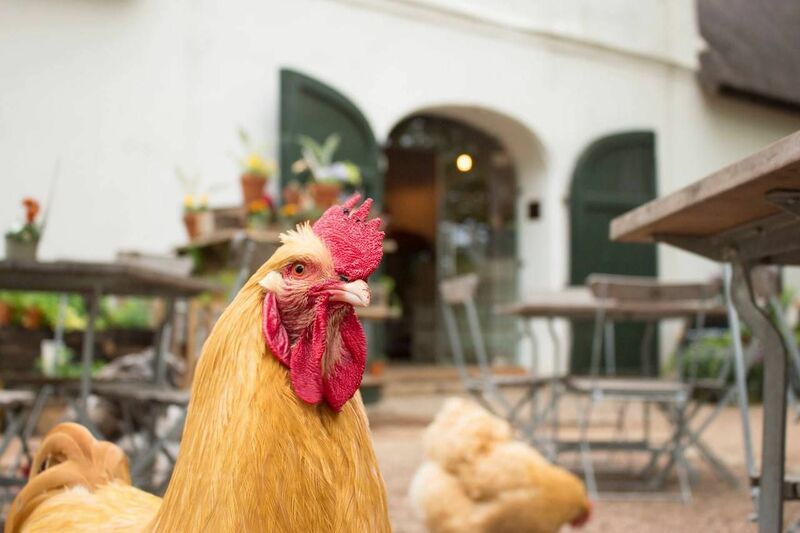 Those interested can take interactive tours of the chicken coops, pig pens, vineyards and gardens where you can pick your own produce. Then swing by the on-site butchery for some naturally raised Boschendal Angus beef, the bakery for fermented breads and fresh-pressed olive oil, and take it all back in a picnic basket to your cottage, which comes equipped with a full kitchen. 14. Go on an art tour of Johannesburg’s hipster neighborhood. Johannesburg is known for being the site of many integral moments of South African history, from the attacks on Nelson Mandela’s family home to the Soweto student uprisings. 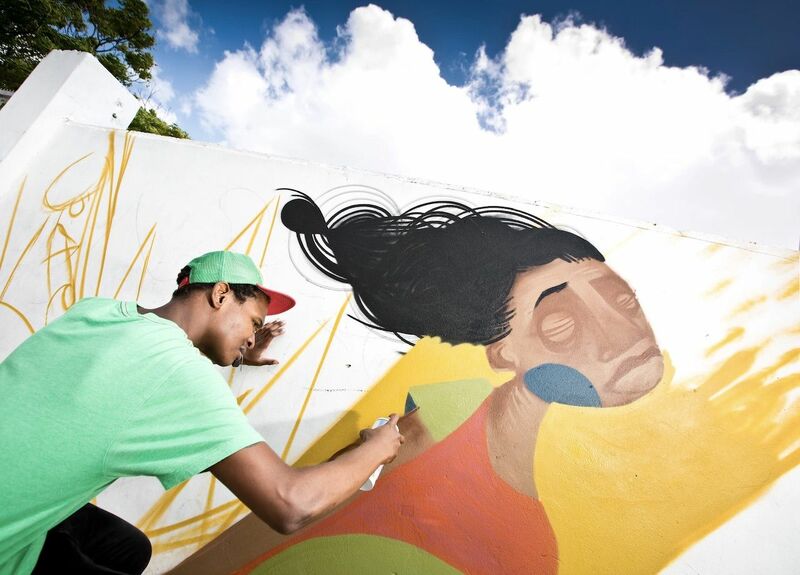 Today, both Joburg’s powerful past and bright future are depicted through the many works of art found throughout the city’s galleries, street art and handicraft markets. Use the iconic Saxon Hotel as a base for exploring Joburg’s lively art scene, especially the creative Maboneng neighborhood where artistic hipsters converge and gallery doors are always open. 15. Sip on sundowners at a bush bar. Sundowners — refreshing cocktails for sipping while the sun goes, well, down — are a time-honored tradition in Africa. At the Esiweni Luxury Safari Lodge in Kenya, you can enjoy these sundowners out at their bush bar, situated right in the Nambiti Reserve in Zulu country. 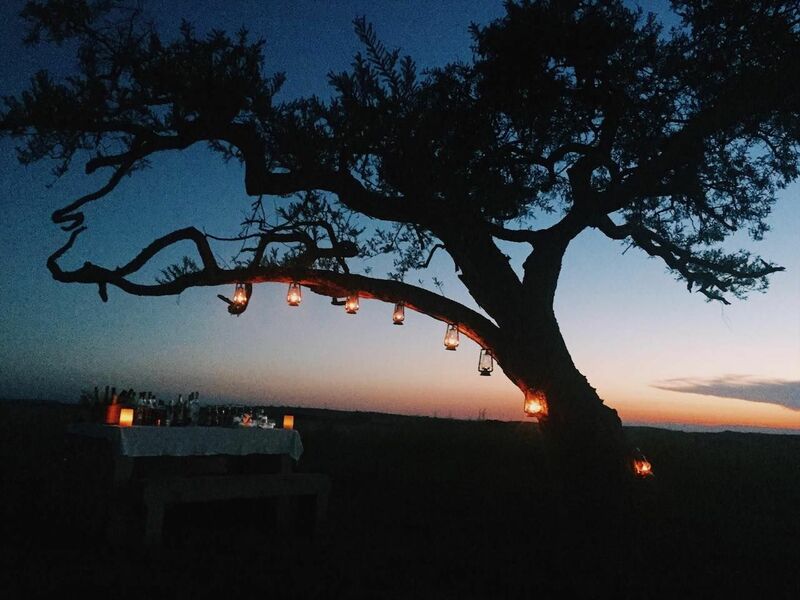 Lanterns are strung up in the trees, and the table is filled with Champagne, local gin, aperitifs and any other spirit you fancy, along with snacks for nibbling on before your post-sunset dinner. 16. 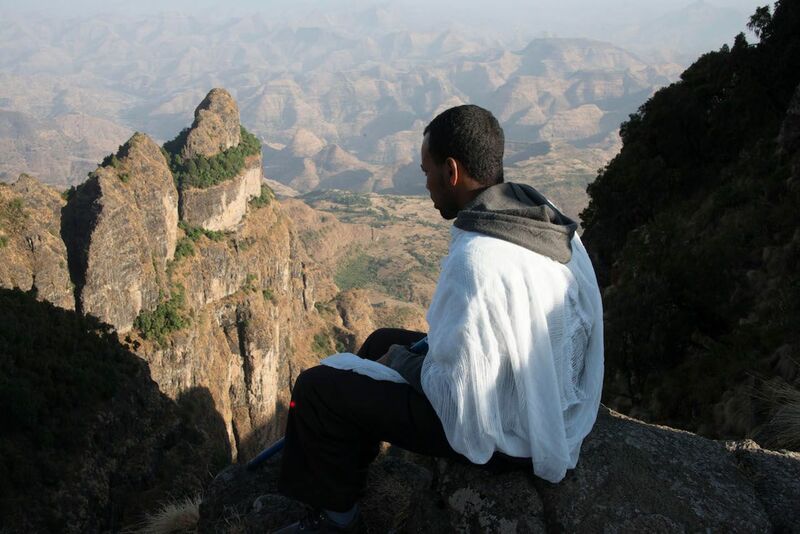 Hike to an ancient cliffside Ethiopian monastery. Ethiopia has one of the richest cultures, interesting wildlife (it’s home to those terrifying-looking Gelada baboons), and awe-inspiring mountain landscapes, and yet it continues to fly under the radar of many travelers to Africa. Stay ahead of the curve by booking a trip to the Simien Lodge, based in the craggy Simien Mountains, a UNESCO World Heritage Site. For the most daring of adventurers, hike to the Saddique Amba monastery that clings onto the cliff side, which few people — travelers and locals alike — have ever ventured to. 17. Take a cooking class using one of the largest spice collections in the world. Zanzibar is known for using many different spices in its cuisine — it’s often called “Spice Island” — and the Essque Zalu Zanzibar is one of the best places to get to know them. Begin your day taking a tour of the Kijichi spice farm in town, where you can smell and taste different spices and tropical fruits. Then, cook your own dinner at the resort’s Mosha Cookery Studio, where you’ll learn about the local cuisine’s Swahili, Persian, Portuguese, Arab and Indian influences. The hotel is striving to beat the world record for the world’s largest collection of spices. Even though they’re not quite there yet, the fragrant collection is still pretty darn impressive. 18. Chill out with bae on your own private island villa. There’s nothing cute about an “all-inclusive” resort with screaming children in the middle of a Caribbean cruise ship route. Instead, stay at the MAIA Seychelles for a truly romantic island getaway, featuring a private island villa overlooking the Indian Ocean, a personal butler, and quiet (childless) white sand beaches at your doorstep. Whether you’re a honeymooner or are celebrating a major anniversary, indulge in a couple’s massage at the spa before wading in your own picture-perfect infinity pool. Every other couple will be seething with jealousy when they see your social media posts (but be sure to post them after you return home; absorb every moment while at the Seychelles). 19. 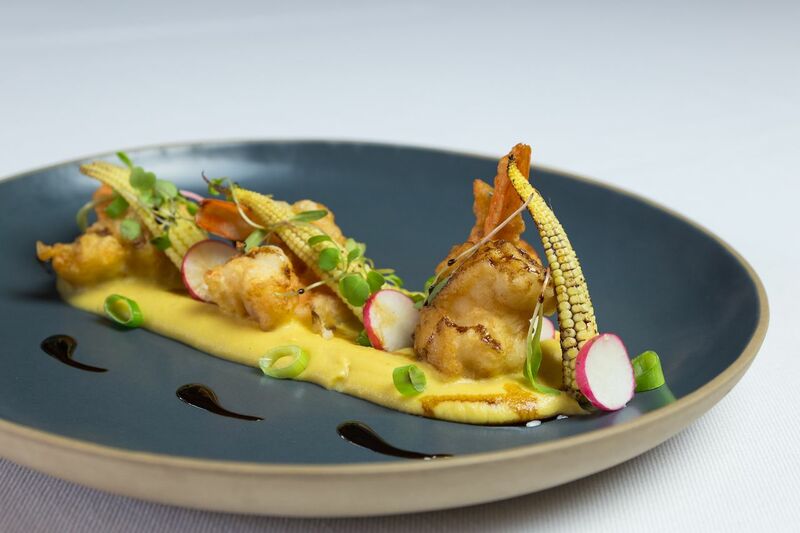 Gorge on gourmet, South African food all. day. long. Perhaps there’s no other lodge in Africa that cares as much about food as the Lairds Lodge Country Estate in South Africa. A true foodie destination, Lairds Lodge will keep you stuffed from sunup to sundown. Start the day with freshly baked breads and housemade jams, alongside traditional South African cooked breakfast. In the afternoon, enjoy drinks in the manicured courtyard, or in the brandy lounge (where, despite the name, the smoked whiskey is the tipple of choice). Then if you still have room, sit down for an ever-changing, four-course communal dinner. A recent example of a colorful main course: a three herb-marinated filet of kudu, served with a butternut puree, courgette and pine nut roulade, pinotage-muscadel sauce, cranberry foam, broccoli heads, and an onion and almond compote. Oh, and there will be wine. Lots of wine. 20. 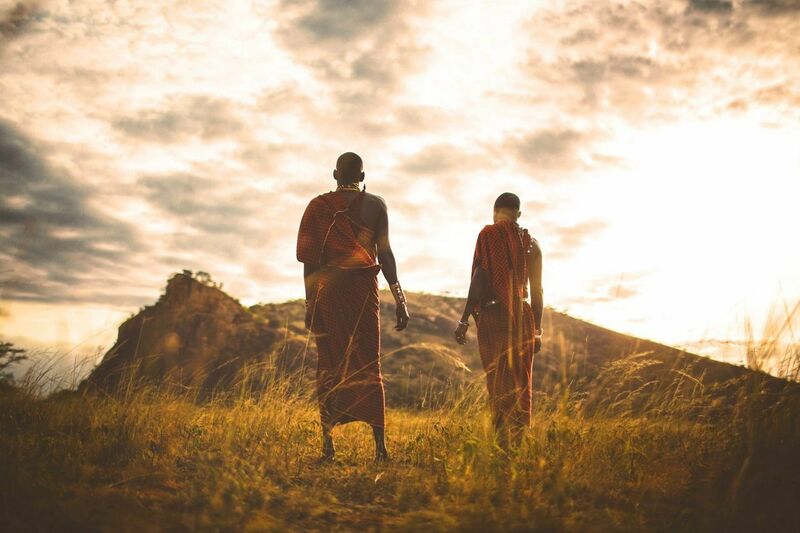 Explore the Maasai wilderness with a Maasai tracker. No one knows the Maasai land like the people who call it home, and at Campi Ya Kanzi, you’ll be able to take a guided safari of the Big Five with the local warriors. While some other tours in this area of Kenya can be exploitative of this cultural group, Campi Ya Kanzi ensures that the native community comes first. For every day you spend at the lodge, a $101 conservation fee is set aside to aid the Maasai community. Their Maasai Wilderness Conservation Trust also helps reimburse the locals for livestock killed by lions, helping the wildlife and Maasai people live in unity. 21. 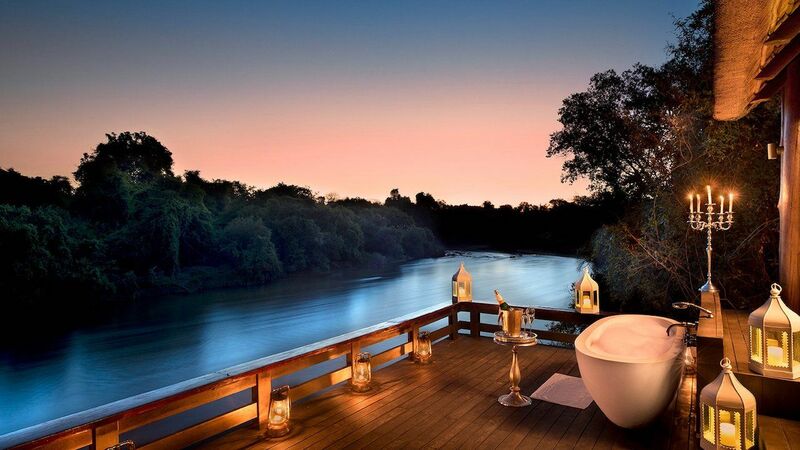 Take a bubble bath along the Zambezi River. After spending days out in the bush on game drives in Zambia, it’s time to slide into a nice, hot soak along the Zambezi River. At the Royal Chundu, take in the serene natural beauty of the river from your own private deck, complete with a bubbly bathtub and equally bubbly bottle of Champagne. 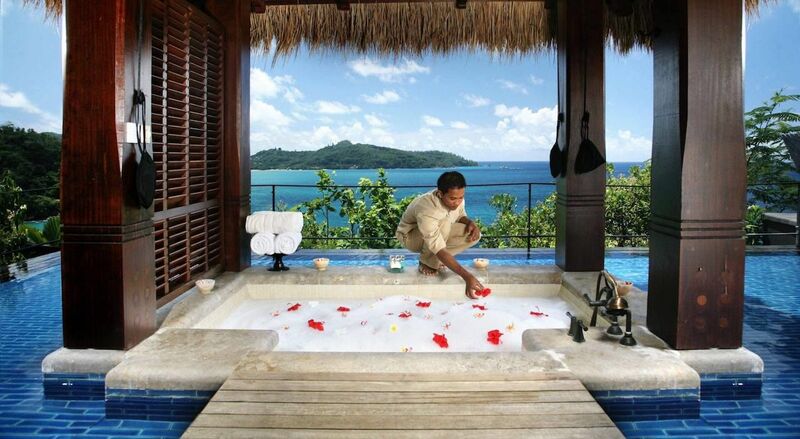 You could even book a spa experience right on your deck for the real treat yo’self experience. If you’re still craving adventure even after all that pampering, check out the nearby Victoria Falls; we recommend splurging for the helicopter tour to fully appreciate the falls’ magnificent scale. As one of the most endangered species in the world, the Eastern black rhino requires an intense level of protection. At the Ol Jogi Wildlife Conservancy in Kenya, these rhinos (many of which have horns) are under armored guard 24/7, so that poachers cannot touch them. One of Ol Jogi’s residents is Meimei, an orphaned baby black rhino. Visit the state-of-the-art sanctuary and help feed this baby rhino milk, and learn more about the valuable work the team at Ol Jogi are doing to rehabilitate these ancient creatures for reentry into the wild. 23. Get shown around Cape Town by a local legend. Cape Town has a sparkling coastline, epic views of Table Mountain, and diverse flora and fauna, but what really makes the city special is its people. 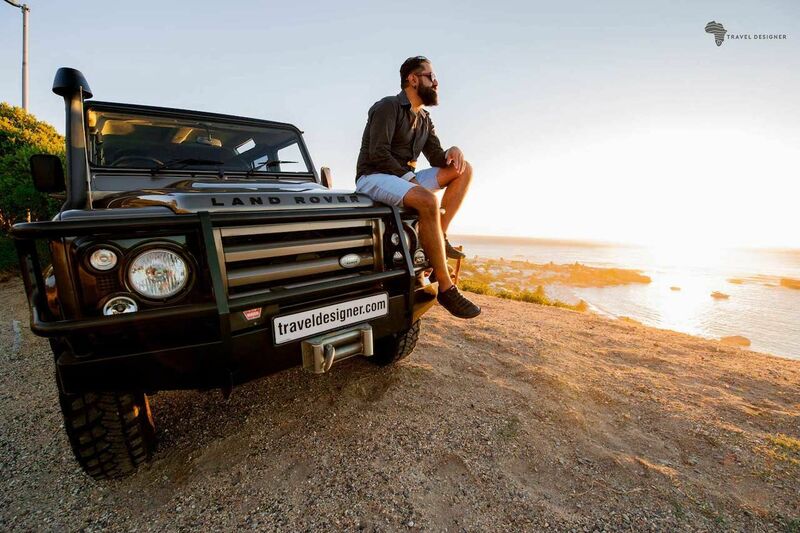 Get to know the city from a local’s perspective by booking a Cape Town Legends experience: interactive activities with real Capetonian characters, curated by Ozzy Yerlikaya of Travel Designer. Grab coffee with National Barista Champion Wayne Oberholzer, go on a street art tour with graffiti artist Mak1one, or work on creating a custom t-shirt with textile designer Adrian Heneke. No matter what local legend you choose to kick back with, you’ll make a one-of-a-kind Cape Town memory that no other tourists will share. 24. Camp in total solitude in the Moroccan desert. If you only think of the Big Five when you picture Africa, you’re forgetting a pretty big part of the continent: North Africa. 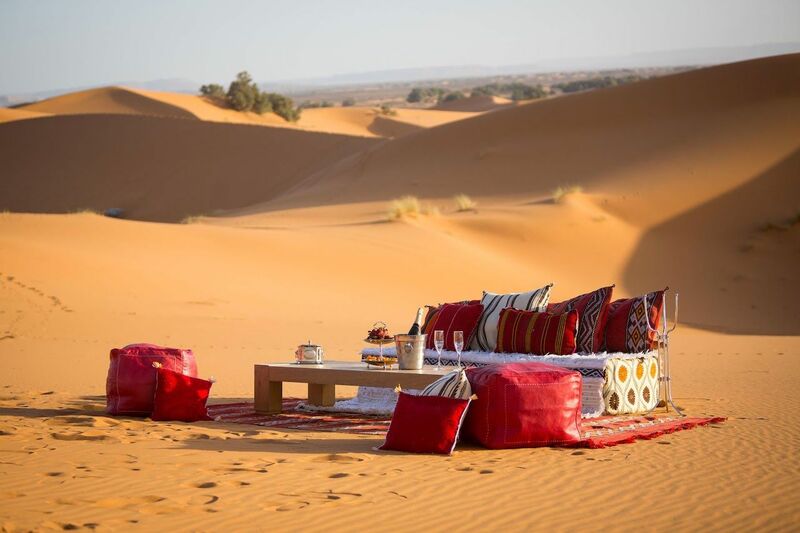 One of the most bucket-list worthy experiences you could have in Africa is sleeping in the desert in Morocco, and one of our favorite places to do so is at the Merzouga Luxury Desert Camp in the otherworldly sand dunes of Erg Chebbi. Take a sunset camel ride, then have a true Moroccan gastronomic experience back at the remote tented camp. Trust us, you don’t know quiet until you’ve spent the night surrounded by nothing but sand dunes (and a few braying camels) for miles. 25. Board a luxe overnight sleeper train through Zimbabwe. After much political turmoil that long kept Zimbabwe from being engaged in tourism, the country is finally open for business and we couldn’t be happier about it. The rising destination is home to both the magnificent Victoria Falls and the practically untouched Hwange National Park. 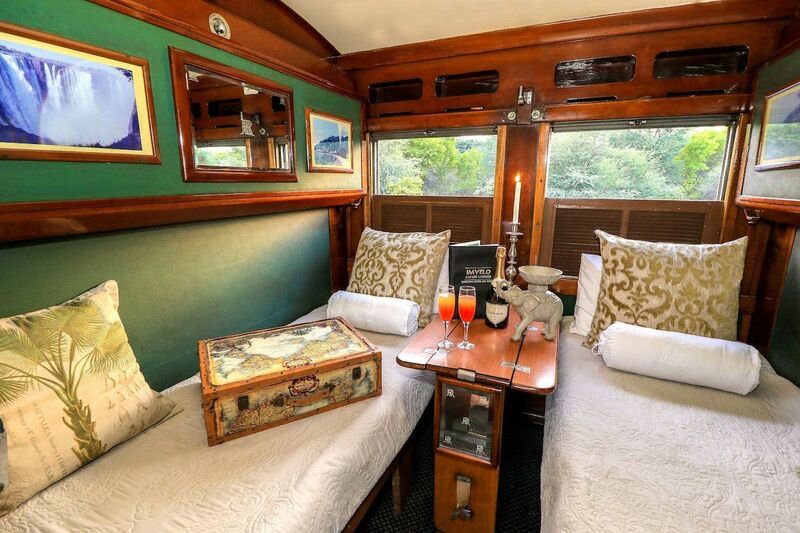 If you’re trying to hit up both in one trip, do it in style by taking the luxurious new Stimela Star: an overnight sleeper train by Imvelo Safari Lodges. The electronic locomotive includes a dining car that serves two hot meals over the course of your journey, and most importantly, a bar lounge car. After departing the falls, let yourself be rocked to sleep as Zimbabwe rolls by, and awake refreshed, ready to start your wild adventures in Hwange.